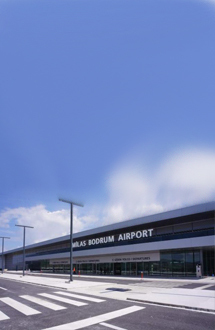 Mugla Milas-Bodrum Airport was opened for international flights on 1997. The two major cities of Karya, was built in the middle of Bodrum and Milas. Been the subject of controversy before being named, the two surrounding city names where given to the airport. It was planned to be built to a closer proximity to the sea, Mugla Milas-Bodrum Airport was built at its present location as a result of evaluation of environmental impacts. If you require reliable, comfortable and affordable transport to Mugla Milas-Bodrum Airport you can make a booking in a few easy steps by clicking on transfer “Transfer Planning”. If you wish to make a telephone booking, you may speak to our dedicated and efficient call center staff members on +90 216 688 54 00. Please click for Milas/Bodrum transfers.